The Florida Panthers have traded Dave Bolland and Lawson Crouse to the Arizona Coyotes in exchange for a third round pick in the 2017 NHL Entry Draft and a conditional second round pick in the 2018 NHL Entry Draft. The conditions on that second round pick confirm that it will turn into a third round pick if Crouse does not play at least 10 games with Arizona this season, which is the required amount to burn off a year of his entry level deal. If the Coyotes trade Crouse, the pick remains a second round selection. 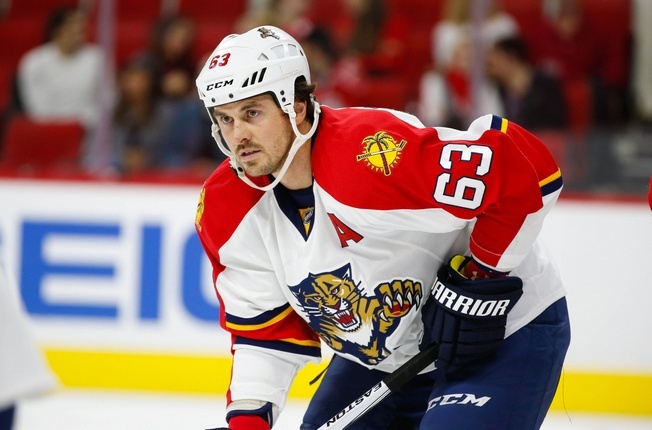 On the menu for the Panthers is the dumping of Bolland’s $5.5 million salary cap hit, which has become a liability due to his injury. Florida couldn’t buy out the remaining three years of his deal because he only played 25 games in the 2015-2016 season, so the trade opens up opportunities and frees up a problem. Arizona has clearly become a place for teams to dump salary and that suits the Coyotes just fine – for now. They’ve got a little over $2 million to go under the cap ceiling, including contracts for Pavel Datsyuk and Chris Pronger. This is part of a strategy for general manager John Chayka and the Coyotes, who have been piling up prospects while almost everyone is focused on their compilation of cap hits. Crouse was picked 11th overall in the 2015 by the Panthers. He had 23 goals and 39 assists in 49 games for Kingston in the OHL last season and seems to possess the qualities of a top-tier power forward. He plays a physical game and is a big player at 6’4, 210 pounds. Crouse can play quality hockey in the corners, but consistency and bad penalties will continue to dog his development. The Panthers cleared up some cap space with this deal and that gives them room to move on new deals for Jonathan Huberdeau and Alex Petrovic. It’s also expected that they’ll pony up another year for Jaromir Jagr, so general manager Tom Rowe has what he needs to get things done.